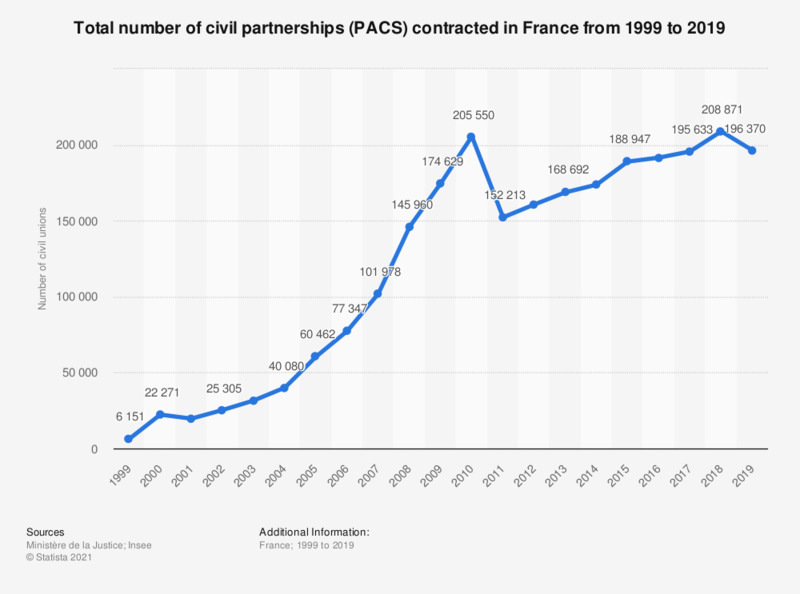 This statistic shows the total number of civil partnerships contracted in France from 1999 to 2017. Since their implementation in 1999, the number of civil partnerships has been increasing until 2010, when over 200,000 civil unions were contracted. Civil partnerships are allowed in France since November 1999.